Measure the exact width of the area you would like the blind to overlap. 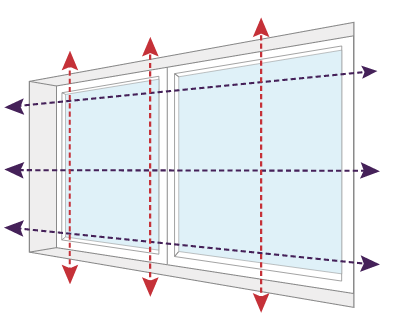 To minimize light leakage we recommend that the blind overlaps the window recess by at least 70mm at the top and 50mm each side. If you are replacing an existing blind with one of the same size simply measure the blind and specify exact fitting, we will make you one the same size. 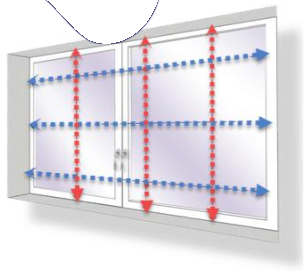 This is the measurement you need to take if you want a blind to fit inside the window recess. Measure the full width and height of the recess [the inside section of the window frame] and we will make the appropriate deductions to ensure a perfect fit. Measure in at least 3 places for both the width and the drop, use the smallest measurement. Remember – don’t make any deductions, we will do that for you to ensure your blinds fit perfectly. Always use a high quality metal tape measure, Fabric tape measures can stretch and give you inaccurate measurements. Great blinds, great price and great service. Highly recommended, great service with price to match. Fast installation, very clean blinds that look superb.